In 1968, The Beatles released “Lady Madonna,” a short, fast-paced groove about an overworked mother. 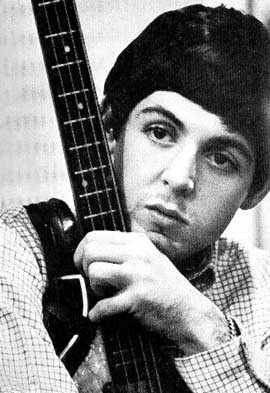 It was written primarily by Paul McCartney, but credited to Lennon/McCartney. John Lennon did help with some of the lyric. In typical Beatles’ fashion, the song reached #1 in the UK and #4 in the U.S., and interestingly, was the Beatles’ last release on Parlophone. The Beatles would release “Hey Jude” on Apple Records a few months after “Lady Madonna.” Has anyone ever suggested that perhaps the Beatles were just too good. Perhaps they were all truly musical aliens, intergalactic hit machines. Well, some band had to be the greatest band to ever play, right? Anyway, I mention Lady Madonna in this version of “Great Moments in Music Cover History,” not because it’s a cover (which it is not), and not even primarily because it spawned several covers, but because it was inspired by a musical legend, Fats Domino. Yes, so I should perhaps title the category as “Great Moments in Music Inspiration History,” but you’ll all see how the covers fit into this in a few words. Not bad. The Fats flavor is cool. Plus, listening to Fats’ accent during the piece feels right. McCartney and Fats should perform this song together. That would be awesome. Now, just for giggles, here is another cover of the song by…Elvis Presley! It is from a 1970 rare recording session (where he also performs “Got My Mojo Working”). He is obviously having a lot of fun with it. He doesn’t even know all the words.